Turkey was the center of the great Islamic caliphate known as the Ottoman Empire, which reigned over a sizeable portion of the world until it was dissolved at the end of World War I. At the present time it is controlled by a secular government and is considered the geographical, political, and religious connection between Europe and the struggling Islamic nations of the Middle East. The country has a stable economy and one of the largest standing armies in the world. It has applied for membership in the European Union. It has a defense pact with Israel, but relations between the two countries have been severely strained since the Israelis intercepted a flotilla heading from Turkey to Gaza in 2010. The ships were supposedly only carrying humanitarian aid, but they were in fact bringing illegal weapons. Turkey figures prominently in Bible prophecy as the land of the seven churches mentioned in the book of Revelation, and as a key ally of Magog, a powerful nation in the North that many prophecy scholars have tentatively identified as Russia. Together with other nations, these allies will engage Israel in a future war against Israel. See The War of Gog and Magog. Names translated from other languages may have different spelling, depending on the source. Dec. 14, 2012 - Syria has been accused of using Scud missiles against rebels near the border of Turkey. The United States is sending assistance to protect Turkey and the Incirlik U.S. Air force Base there. U.S. Defense Secretary Leon Panetta signed the order while en route to Turkey to send two Patriot missile batteries and 400 U.S. troops to operate them. Dec. 7, 2012 - As the situation in Syria becomes more unstable and the Syrians have prepared chemical weapons of mass destruction for possible use, NATO is moving troops and missiles to Turkey's border. At least 400 NATO soldiers from the U.S. and the Netherlands were beefing up Turkey’s border with Syria and readying Patriot missiles. Oct. 8, 2012 - After a Syrian shell landed inside Turkey, near the border town of Akcakale, Turkey's military returned fire with at least eight shells aimed at Turkish soil The response was in keeping with Turkish Foreign Minister Ahmet Davutoglu's warning Saturday that Ankara would respond forcefully to each Syrian shell that lands on Turkish soil. Once close allies, Turkey and Syria have become fierce foes since the uprising against Assad began in March last year. Ankara became one of the harshest critics of Assad's crackdown while Syria accused Turkey of aiding rebels. Oct. 5, 2012 - On Thursday, the U.N. Security Council condemned the attack on the Turkish city of Akcakale by Syrians. The Turkish parliament then authorized military operations outside its borders if necessary. The Council said the incident "highlighted the grave impact the crisis in Syria has on the security of its neighbors and on regional peace and stability." Oct. 1, 2012 - Oct. 1, 2012 - At a major meeting of Turkish Prime Minister Recep Tayyip Erdogan's ruling party, Egypt's new president encouraged an emerging partnership between Egypt and Turkey. He pledged opposition to Syria's president. "The events in Syria are the tragedy of the century," Morsi said. "We will be on the side of the Syrian people until the bloodshed ends, the cruel regime is gone and Syrian people reach their just rights." June 26, 2012 - Turkey's prime minister, Recep Tayyip Erdogan, warned Syria that the shooting down of a reconnaissance plane on Friday was a hostile act that would not go unanswered. Syrians also shot at a Turkish search-and-rescue plane looking for survivors from the downed jet. He said the rules of engagement for Turkish forces along the Syrian border had been changed so they would respond more forcefully to threats coming from Syria. World's most powerful imam to rise? ...uses a veneer of moderation along with the Western concepts of democracy, interfaith dialogue and tolerance as a cover while it works to achieve its goals of Turkish Islamic dominance and a return to the glories of the Ottoman Empire. According to some accounts, Gülen and his movement are thought to be worth more than $25 billion, derived largely from the free-flow of money from the Afghanistan opium and heroin trade. June 12, 2012 - This insightful article begins with the fact that strategists have long debated whether Turkey would be a “bridge” or a “gully” between Europe and the Arab/Muslim Middle East. Thomas Friedman says that it now looks like it is neither one. It’s an island — an island of relative stability between two great geopolitical systems that are cracking apart: the euro zone... and the Arab state system that came into being after World War I are both coming unglued. He goes on to explore why both Europe and the Islamic world are both cracking up at once. He believes that there are two main reasons: "The intensifying merger of globalization and the information technology revolution." In Europe, he observes, "German savers seething at Greek workers, and vice versa." In the Arab world new communication technology caused young adults to see how far behind they were. Thousands of Muslims in Turkey, preparing to celebrate the Ottoman conquest of the country 500 years ago, are demanding that authorities allow them to convert the Hagia Sophia museum into a mosque. Istanbul's Hagia Sophia, which was built in 537 by Emperor Justinian, was the world's most renowned Christian church and the center of Orthodox Chrisianity for more than 900 years [when the city was called Constantinople]. After conquest by the Ottomans it became a mosque in the mid-15th century. In 1934, following WWI, it was turned into a museum and a law was passed that makes it illegal for any religious group to hold services on its grounds. Because of the violence between the two major branches of Islam, a prophecy student needs to know the difference between them. The majority of Musllims are Sunni (80 to 90%). Shia (Shi'ite) Muslims are the minority (5 to 20%). The division between Shia and Sunni dates back to the death of the Prophet Muhammad, and the question of who was to take over the leadership of the Muslim nation. Sunni Muslims agree with the position taken by many of the Prophet's companions, that the new leader should be elected from among those capable of the job. The Sunni (from a related Arabic word that means "one who follows the traditions of the Prophet.") accepted the first four Caliphs, starting with Muhammad's friend Abu Bakr, as the rightful successors to lead the Muslim nation. Sunnis accept the writings of these official Caliphs, known as the Hadith ("traditions" of the Prophet's life and spiritual practice). Osama bin Laden was a Sunni Muslim, as are the Muslim Brotherhood. The Muslim population in Lebanon is about half Shi'ite and half Sunni. Almost 40% of the people are Christian. Is Turkey's Erdogan becoming the modern Ataturk? Aug. 1, 2011 - The resignation of Turkey's top four military chief has given the country's Prime Minister, Recep Tayyip Erdogan, greater control over the military. A historic opportunity has fallen into his hands, and he is grabbing hold of it with both of them. He has managed to impose the civil government authority over the army, and to smash one of the founding principles of Kemal Ataturk's regime. During Ataturk's reigeme authority was granted to the military to remove governments that did not uphold his principles. Feb. 23, 2011 - Recently there has been a debate among prophecy teachers about the nature of the final world empire. Some say it is a Western union of nations – a “Revived Roman Empire,” while others suspect it will be an Eastern coalition – essentially an Islamic Caliphate. The Gülen Movement: A New Islamic World Order? Jun. 1, 2011 - This article and video report explain the great influence of Turkish imam Fetullah Gülen, who has been called the world's top public intellectual and the face of moderate Islam. He lives in Pennsylvania but leads a movement of some 5 million Muslims worldwide in a quest for a supposedly moderate Islamic world system of science and education. Ariel Cohen, a Middle East analyst with the Heritage Foundation, said this about the movement. "This is clearly the world according to the Koran, the world according to Islam, the world according to Fetullah Gülen," he told CBN News. "But what he's talking about is not the caliphate, is not the sharia state- -he calls it the New World Islamic Order." Mar. 12, 2010 - Terror expert Walid Shobat warns that Turkey, a NATO member, is taking a hard turn against Israel. A few months ago a report from Joseph Farah's G2 Bulletin indicated that Turkey appeared to be seeking the restoration of the old Ottoman Empire. The report said Turkey's increasing disinterest in the European Union combined with its efforts to re-establish its influence in Turkic countries of Azerbaijan, Kazakhstan, Kyrgyzstan, Turkmenistan and Uzbekistan and its outreaches to Russian, Syria and Iran are cause for concern. Walid points out that Turkey was the center of the Ottoman Empire, the last Muslim coalition of nations. He explains, "In 1924, the Caliphate was dismantled by the West, and this is why Muslims hate the West... In 1928, four years later, the Muslim Brotherhood was born. This is the umbrella of all the Muslim terrorist organizations." 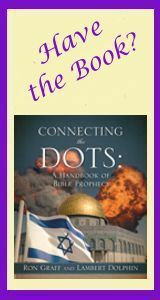 According to Ezekiel, an alliance of enemies will attack Israel in the End Times. The leader will be Gog of the land of Magog, who is the chief prince of Meshech and Tubal. He is assisted by Persia, Cush, Put, Gomer, Beth T ogarmah, and other nations. Most of these names are listed in the genealogies of Genesis 10. Gog is not listed in Genesis 10, but he is evidently the head of the land of Magog, who is mentioned as a son of Japheth, one of Noah's sons. It is known that Japheth traveled north from Mt. Ararat after the flood. Hesoid, a Greek writer of the 7th century BC, and contemporary of Ezekiel, identified Magog with the Scythians and southern Russia. Flavius Josephus, a 1st century Jewish historian said that Magogians were called "Scythians" by the Greeks. Philo, a 1st century Greek identified Magog with southern Russia.Commentators from the turn of this century and before have generally identified Gog and Magog with Russia even though, at the time, they could not explain why Russia would turn against God's people. They conjectured that perhaps the time would come when there would be animosity between Russia and Israel. Rosh ("head", "chief") sounds like Russia. Meshech sounds like Moscow or Mushkovi, the old name for Russia. Tubal sounds like Tobolsk. This is the only time in history that this could be said of Israel, that they were brought back from many nations. It is true that they were brought back from Babylon and Persia in the Old Testament, but it is only since the Zionist movement, which began in the late 1800's, that Jewish people have returned from nations all over the world. They had been scattered abroad even in New Testament times. On the Day of Pentecost, for example, the various languages spoken by the Apostles, when the Holy Spirit came upon them, represented the many lands where they had settled. But they had not returned to stay. This really never happened until the amazing events that led to the rebirth of Israel in 1948. What thoughts would come into Russia's mind to make them want to attack Israel? A consideration of Russia's instability and the plans of some of their leaders for expansion throughout the Mediterranean area is given below. Israel has always been a key land bridge between Russia's allies and is presently an enemy of some of those allies. Any number of scenarios in the always-volatile Middle East politics could lead to a Russian attack in the future. Persia is now known as Iran, and there is an amazingly close relationship now between Russia and Iran. Cush is Ethiopia, Put is Libya, Gomer and Beth Togarmah may well be Turkey and/or other Islamic nations like those once part of the Soviet Union. It is interesting that Mizraim, the forefather of Egypt is apparently missing from this lineup. This, of course, fits the current world scene, with Egypt being the first Arab nation to make peace with Israel. Israel's allies appear to be few and feeble. Some of Saudi Arabia was populated by Sheba and Dedan. The merchants of Tarshish could be England and English colonies. In that case, The United States could even be included since we were once an English colony. These allies ask why Russia and its allies are coming, but do not appear to deter them. The quick end of this future war will be with God's judgment. It could be God's personal power, raining literal fire and brimstone, as in the days of Sodom, or it could be God using nation against nation, as he often did in the Old Testament, to precipitate a nuclear exchange. The next chapter of Ezekiel continues to give details of this great conflict. Again, it is a scene of utter destruction. Copyright © 1996-2013 by Ron Graff. All rights reserved.